While the customer experience is typically the realm of the CMO, there are a number of reasons why it should also concern the CIO. One of the biggest issues is fragmentation of platforms – which is a looming headache for CIOs, one where the cost will likely be hidden within the business. Consider, the website for a global company is often the responsibility of a web team, marketing or operational function, or an ecommerce division if the site is transactional. On top of the website, there may be commercial engagements with external web agencies who manage specific projects or are deployed due to a lack of internal resource. This is where problems can start. As soon as you begin to deploy different web properties, you run the risk of fragmentation. For example, if the website deployed by an external agency isn’t managed globally – but instead regionally or nationally – it can have its own features and commerce capabilities based on the local regulations. These could include microsites or apps that splinter off this main website, all of which are built on separate platforms. Such fragmentation will lead to a bad customer experience, as the journey is not consistent across regions and sites. It appears this is a challenge for most organisations, as research finds that it’s only a minority of businesses (5%) that think that their customer experience is “right where it should be”. Security & compliance data risk - How do you ensure consistent privacy and data protection policies are enforced in increasingly regulated markets when you are using different systems and platforms, with different compliance capabilities? The IT team will have a significant role to play here, particularly in line with the strict breach monitoring and reporting requirements embedded in GDPR. Shadow IT services - In many cases, the business is either running separate development teams or managing separate agency relationships for each market, region or channel. This leads to unsustainable levels of waste and redundancy, never mind the cost/complexity of coordinating between the moving parts when necessary. The IT team will have to orchestrate all the resources needed for this plethora of services or contend with the (more likely) reality that the teams commissioning these services will give implicit authorisation for shadow services to emerge. A skills challenge - Some of these platforms will require java-based resources, some might need .NET coders. You may have additional.net resource you could deploy from other internal systems to help manage and support this critical infrastructure. Managing the integration points – the martech stack applications often have fragile links between them. Once you’ve deployed a new CMS, marketing automation platform, social media platform, eCommerce capability, personalisation feature or data management platform in a market, any upgrade or change could break everything. As such, managing these integration points represents a phenomenal overhead – and when you fragment any of these applications across markets or regions, you compound this complexity. All of these issues can present a real headache to CIOs. At present, CIOs may not see much of a role for themselves in their organisation’s marketing function. In fact, 68% of IT decision makers say that they have “more important things to worry about than marketing technology”, while 53% say that digital marketing initiatives shouldn’t be their responsibility. However, given the risks listed above, CIOs need to take a real interest in their organisation’s marketing technology. Interestingly, despite a reluctance to get involved with marketing decisions, 91% of IT decision makers think that they should collaborate more on digital strategy projects with other departments. Only by collaborating with the marketing team can the CIO – and the wider IT team – ensure that web fragmentation become even more than a customer experience issue, to become a potentially more costly compliance one. Similarly, it is the responsibility of the CMO to work closely with the CIO to align priorities. 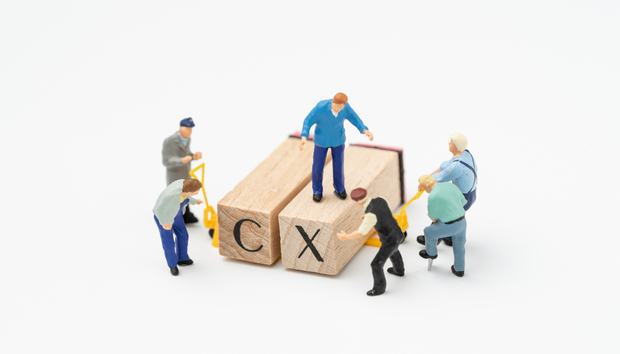 Delivering a great customer experience is something that should be a business priority, not a departmental one. The CIO is likely to be highly experienced in deploying large scale tech stacks, and the martech stack shouldn’t be any different. Collaboration means that platforms remain under control, and aren’t fragmented across regions, but are instead managed holistically, globally, wherever possible. By collaborating and knowledge sharing, both the business and its customers can profit. Remain siloed, however, and it could be a costly mistake, as you risk not only the loyalty of your customers, but also significant fines and reputational damage.